Neuron Academy, the fast-growing company on cognitive training, brain plasticity and neurosciences, has been nominated in the ‘Performance’ category for the world’s first brain training station to improve cognitive functions. Reflex-ON offers personalized and evolutive brain training session in a virtual immersive reality environment. Candidate Gym80 International has been nominated in the same category for its Pure Kraft, a unique system that significantly reduces the weight when working on plate-loaded machines. Truu Original Water, one of the leading water refinement system manufacturers in Germany, is also nominated in the category ‘Health & Prevention’. The reason for its nomination is the Truu fountain, a ground-breaking system to refine water on-site. Made from high quality V4A stainless steel and glass, the fountain is a sustainable source of the purest and most pristine water. 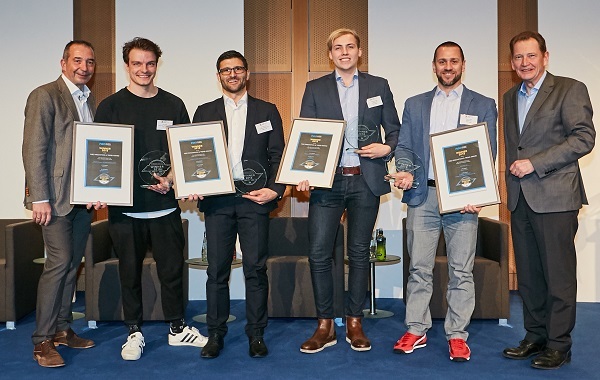 The Start Up category of thew 2019 edition includes the Zurich-based startup Sphery AG for its ExerCube, a functional training tool in an immersive fitness game setting. This innovative training concept maximizes players’ individual workout while they submerge themselves in a highly fascinating experience. Last year’s edition awarded EuropeActive’s member Bodygee, the startup that offers 3D scan solutions for measuring, analyzing and visualizing body composition, in the category ‘Digital Fitness’. Bodygee gives customers the opportunity to scan, analyze and visualize their body as a photorealistic 3D avatar to understand the training effect. The jury members, who will choose the five winners from all nominees, includes EuropeActive’s CEO Nathalie Smeeman, Editorial Manager & Manager Business Development FIT FOR FUN Gunnar Ebmeyer, founding dean at the department of sports, media & event at the University of Applied Sciences Europe Prof. Dr. Thomas Rieger, University Professor for prevention and health at the German Sport University Cologne Prof. Dr. Ingo Froböse AND office manager at DIFG e.V. Prof. Dr. Niels Nagel.